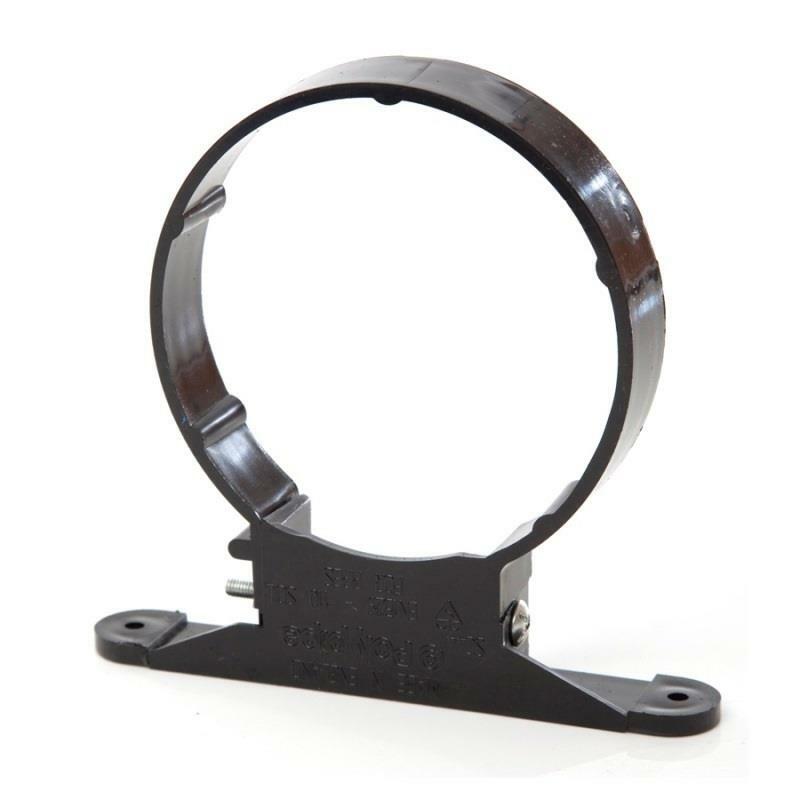 POLYPIPE Manufacturer's Part Number: SC44B. 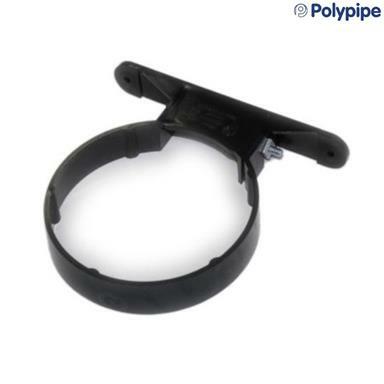 POLYPIPE Soil & Vent Fitting - Plastic Clip for Ø110mm/4'' Soil Pipe, complete with nut & bolt; Black. - Polypipe Soil & Vent: Plastic clip for Ø110mm/4'' soil pipe, used where only a narrow section of wall is available for fixing. - Comes complete with nut & bolt.